The radio frequency spectrum is one big traffic jam, but an A.I. could fix that. The radio frequency spectrum enables almost every wireless transmission, from Pokémon Go location data to phone calls and military radio transmissions. The problem is that spectrum is starting to get crowded. 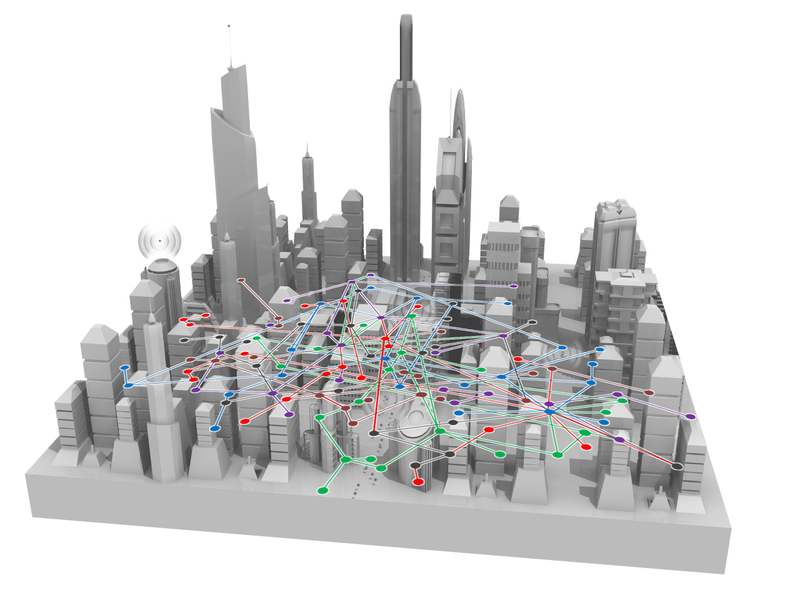 With more and more devices connecting to the Internet of Things, the Defense Advanced Research Projects Agency (DARPA) is concerned “wireless congestion” could not only impact social media posts and Netflix stream, but also critical communications in war zones. The answer, as it so often is these days, is a highly sophisticated Artificial Intelligence. DARPA recently announced its next Grand Challenge contest, which will pit several teams against one another in a three-year competition to design a computer system that can micromanage the radio frequency spectrum to keep devices working smoothly. While such technology would certainly help the consumer market, DARPA’s first responsibility is to the military, who would use their A.I. operator to keep signals clear on the battlefield. How congested is it? Well, just look at this chart of how the U.S. divvies up its spectrum. In March, DARPA first proposed plans to develop artificial-intelligence-powered radios that can smartly and efficiently cut down on this congestion in the system before we as a society use up its limited space. Radios would be the start, but eventually, A.I. operators could go a long way to streamlining communications between devices all over the spectrum, like phones and computers. Think of it like tuning your old-school radio. You go to 88.9 FM for the alternative station and 106.7 FM for the jazz/classical station, and the two don’t overlap. Cell phone, laptop, and internet-connected toasters work in much of same way. Each device is assigned its own “radio station” number, and no two can occupy the same frequency. You can see how that quickly devolves into a convoluted web of frequencies. But it’s not just consumer devices that have exploded in popularity, it’s also military tech including drones, augmented reality goggles, autonomous ships, general communication devices, and DARPA’s own robots. When a soldier’s life is on the line, the military can’t risk communications going out because local kids are playing Pokémon Go on the same frequency. 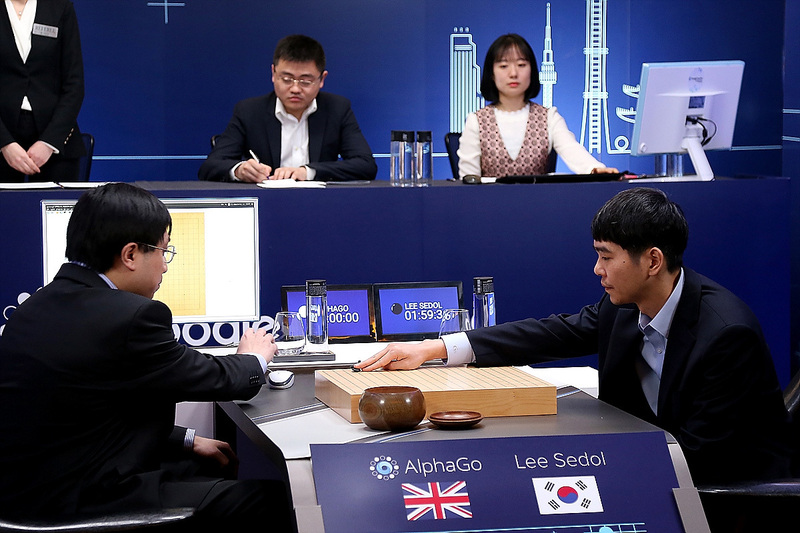 South Korean professional Go player Lee Se-Dol (R) puts his first stone against Google's artificial intelligence program, AlphaGo, during the last Google DeepMind Challenge Match. Artificial Intelligence has proven powerful at seeing solutions humans simply don’t consider. Google’s A.I. subsidiary Deep Mind beat the world master of the ancient game of Go because it used tactics humans had never thought of before, and Google recently used this same tech to improve energy efficiency in its data centers by 15 percent. At the end of the contest, the winning team will rake in a $2 million grand prize and a contract with the agency. Second and third place will get $1 million and $750,000, respectively. Information meetings and competitive architecture days begin in August and the championship event will take place in 2019.